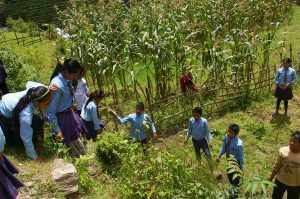 ETC works primarily in rural areas where improving horticulture and livestock production is a key to community well being. The goals of our agricultural activities are to enable women’s group members and other farmers to achieve food security, improve nutrition, and increase household income. 3. Temporally sustainable, because the skills and knowledge gained through ETC’s training do not expire or wear out – they last indefinitely and can be handed down to future generations and shared with neighbors and friends elsewhere. 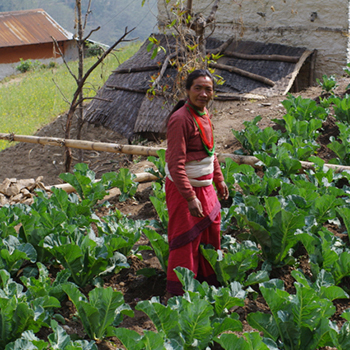 All ETC women’s group members grow year-round kitchen gardens in the areas immediately outside their homes. We provide seeds/seedlings two or three times per year, and tools such as plastic sheeting, bamboo poles, etc. Many women are able to borrow (through their women’s group microcredit funds) or earn money to rent larger plots of land, on which they can grow enough produce to have a significant marketable surplus. Popular cash crops vary by region and soil type but have included tomatoes, mushrooms, leafy greens, citrus fruits, and ginger among others. 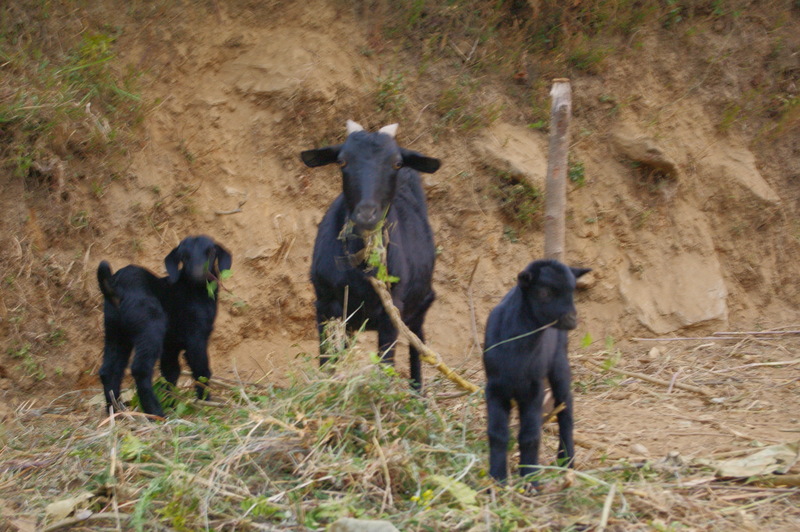 Goats and poultry are particularly popular among our current women’s group members. These animals take up relatively little space, can be inexpensively but well fed and housed, and provide eggs and milk as well as meat. ETC provides training and resources, including poultry chicks, seed money to purchase goats, and supplies to build animal housing, for our women’s group members who want to start their own small livestock farming businesses. Our staff agricultural specialists work directly with children ages 10-14 at participating schools to plan, cultivate, and harvest produce in the schools’ gardens. The children pass on what they learn to their farming families and develop a greater appreciation for the vast importance of agriculture, as a vocation or avocation.